"Great leaders listen, synthesise and act. Sure, they’re expert in their fields, and they have great ancillary skills to match that expertise, but - crucially - they need to see the world around them with broader eyes than just their own; and then craft that broader knowledge into actions that yield real progress…"
Stephe Wilks has over 25 years’ experience in the telecommunications industry both within Australia and overseas. As an active Non-Executive Director on the board of a number of public and private companies, Stephe has experience across a range of commercial and operations disciplines, governance and corporate finance and M&A. 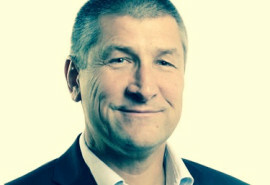 In addition to his work as a Non-Executive Director with ASX listed Service Stream, Stephe is the Chair of Interactive Pty Limited, Non-Executive Director of 3Q Holdings and Bankstown Airport, and is an Advisory Board Member of the Network Insight Institute. Stephe is also involved with a number of private equity backed businesses in the media and technology industries.